Well, don’t go a-hunting for ramen. Ask for directions to the nearest chuka-soba eatery instead. In Wakayama, the locals refer to the popular noodle staple as chuka-soba, which means Chinese soba. Well, hardly surprising, as the origins of ramen have been hotly debated and some believe that the noodle dish was brought from China into the Land of the Rising Sun. Every region in Japan has its own version of ramen, and here in Wakayama chuka-soba is often served with a darker, richer pork broth. Grab any tourist map and chances are you will find directions to a multitude of recommended chuka-soba shops. 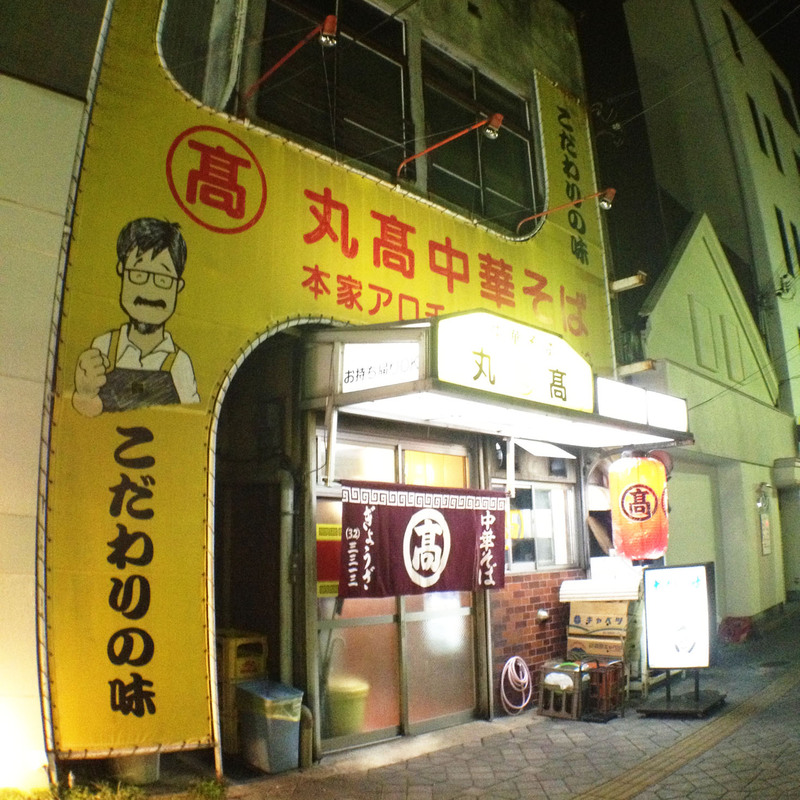 So while the good husband and I were in Wakayama, we hunted down Arochi Marutaka Chukasoba, a small shop on Tomodacho which is easily identified by its yellow exterior and a large cartoon of its founder. It is said that Arochi Marutaka Chukasoba was founded 60 years ago as a small, outdoor stall and its tasty broth of pork bone and soy sauce earned it a loyal following. Arochi Marutaka Chukasoba’s chuka-soba is truly worth all the praises that have been heaped upon it. The broth is rich and so addictive, while the noodles are done just right. 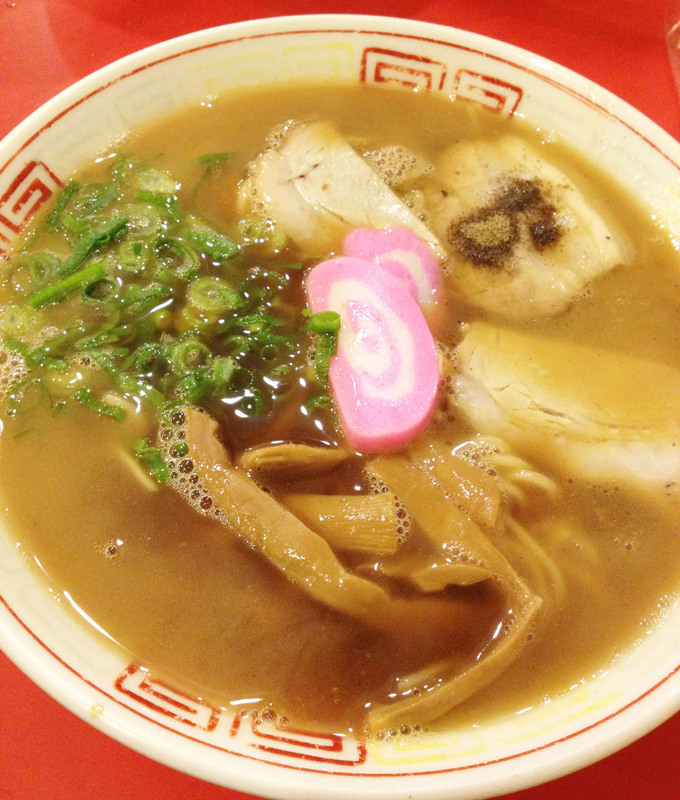 The usual ingredients – chashu (slices of roasted pork), menma (bamboo shoots and kamaboko (fish cake) – are tasty too. 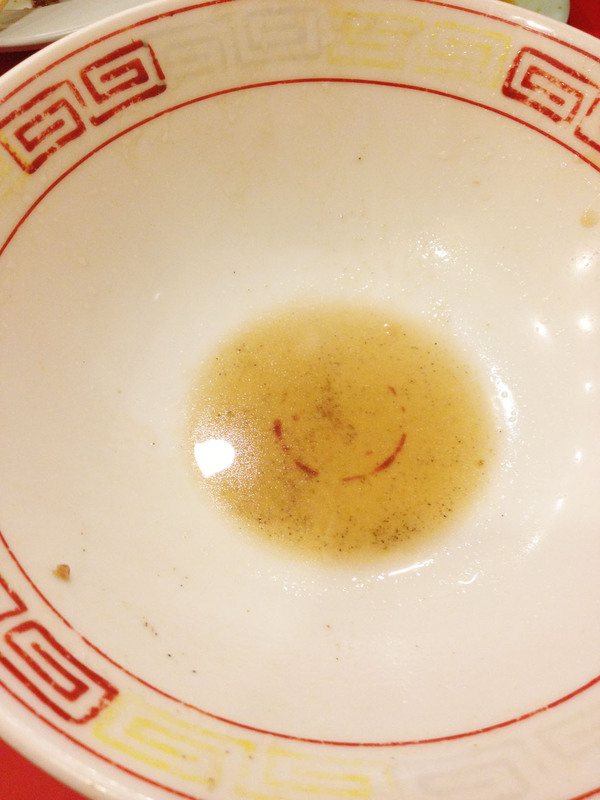 We enjoyed it so much that we drained our bowls. Each bowl of chuka-soba costs 600 yen. 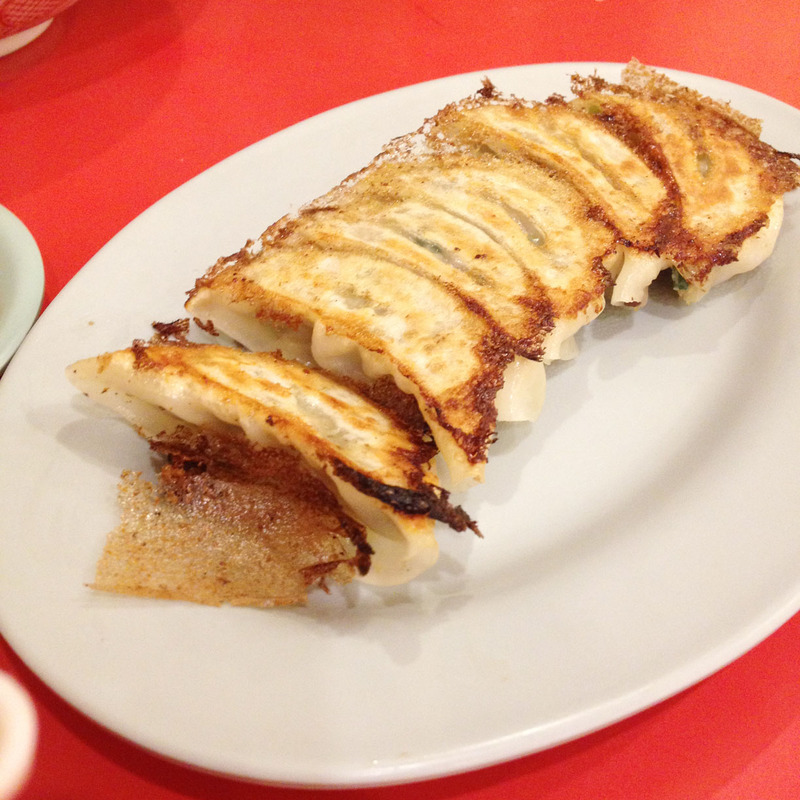 Order a plate of pan-fried gyoza (300 yen) to go with your noodles – they are done very well here too! Arochi Marutaka Chukasoba opens from 5.30pm to 3.30am.